Artistic communication – Orocrea Jewerly s.n.c. Bring life to the ultimate creation which is your life! This pendant is made with a base in silver 925. The Selfic circuit in yellow 18 kt gold is prepared on your personal frequency to perform its personal function particularly for you and you only. it increases the feeling of self-confidence and allows for a clear and focused sharing of ideas and words with others. The gems are a blue kyanite and a moonstone. You see a sacred language symbol in yellow gold connected to Art, to be expressed in all manifestations of life. 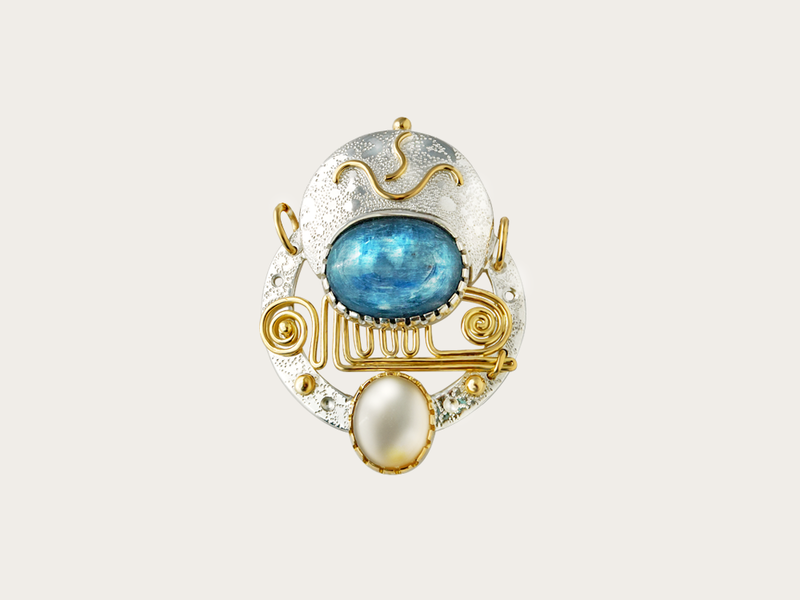 A lunar and feminine jewelry piece to bring inspiration and the right energy to achieve the projects you care the most!